Tried chasing a mirage before and get frustrated? Once I heard a man say, the most pathetic but dreadful sight he’s witnessed is a beast chained in a cage. Every team sports in the world requires every jigsaw of it’s puzzle to function and achieve a desired result, every player, staff, steward, sometimes the crowd that shuffle into the stadiums doing the cheering and chanting play their roles. Nonetheless, when the lights fade out of the arena one man gets all the plaudits when the team wins and the criticisms when the team fails to perform, he is; the gaffer, the manager, the boss, the coach. All the pressure, the tactics, the shouting are his to contain and manage. Whether a game is won, lost or drawn, it’s him, the gaffer that knows more. Not always about the skills of his players, more of his tactical awareness. More about knowing who’s stronger and when in particular, more about urging his team to play on, stay in shape, keep the balance or keep pressing. More about discerning the atmosphere. It’s always him that relives every miss, every save, every goal through a grueling 90 minutes, even more. It’s him that knows when to rave, rant, or rally his team. He knows his job is to lead his lads every second of the game. But once his team sets their feet on the pitch, he has to cede. The white lines are his boundary, his chains, the technical area his cage, like a beast. Hungry for purpose but how tactful in relating his burning coal desires becomes his rage. His players like pawns now have their roles to play out of his prior tutelage, they now act out the scenes rehearsed in his scripts. Every match is the gaffer’s battle in a season hard fought. Slowly the curtains are drawing to a close in the Barclays English Premier League, the weekly fights and swipes at oppositions are still on as men who are paid to taunt each balance their books before business closes. Only this time, it has been a longer season with lots of twists and turns, one of it’s kind, a “world championship of managers” like Arsenal’s loanee at Bournemouth Jack Wilshere puts it in his own words. The league, like a stove is getting hotter as the weeks go by, Arsenal under manager Wenger are on the verge of missing out of the top four for the first time. Tottenham for the first time in over 20 years are looking more likely to finish above their North London neighbors. Liverpool: the kops under klopp are already experiencing a renaissance, looking to qualify for Champions league with ease this season. Manchester United, currently on the most unbeaten run across Europe’s top 5 leagues are lurking behind top four with 2 games in hand. Pep’s Manchester City are also in the mix. Run away league leaders in the first half of the season, Chelsea have seen their lead cut down to 4 points in recent weeks and the heat is on. Everton, this season looking to qualify for Europe and have not stopped the chase and are no push overs. 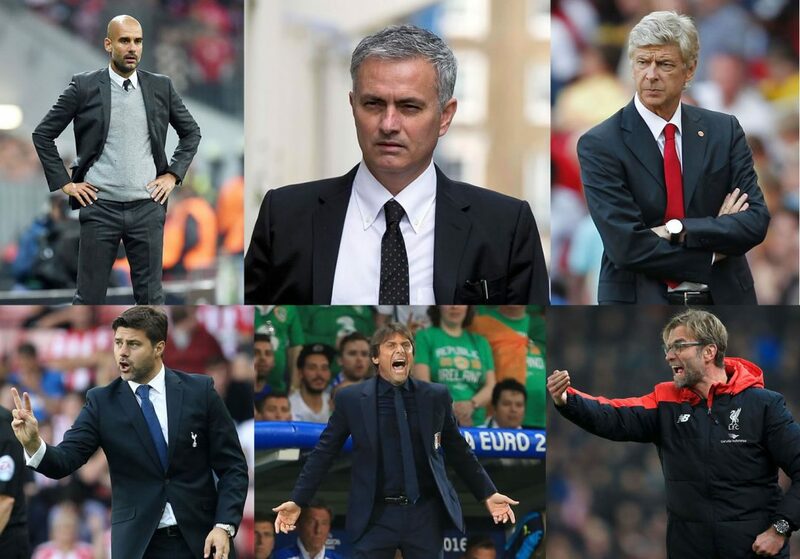 The 2016/2017 Barclays English Premier League season will go down as one for the managers. One where final weeks tactics and style of play will go a long way in this journey of the top four. Who makes the top four remains to be seen. Will it be the passing possession attacking football of Wenger and the gunners, the high press total possession football of Pep and the citizens, the solid defending but counter attacking strong tackling style of Jose with his big boys, the high press all out attack but water tight defensive set up of Pochettino and Spurs, the lightening quick transitional attacking style of Klopp and the kops. Who makes Europe at end of the road is what we live to see when all the animals are set free. Until then, let’s have one for a lifetime.